Cluck & Trowel is a small family farm nestled in the seaside community of Westport, Mass. Sarah is the 'Farmer in Charge' of all things vegetable. On any given day you will find her in the fields or the greenhouses tending plants from seed to harvest. Born and raised on the South Coast, Sarah has been a strong supporter of farms and local agriculture throughout her career. Sarah developed many close relationships with area farmers during her 7+ years working with agricultural non-profit organizations. Kate is the 'Farmer in Charge' of all things Chicken. Dubbed the Crazy Chicken Lady, Kate enjoys caring for Cluck & Trowels flock of happy hens. A strong advocate for local food, Kate has worked for Plato's Harvest Organic Farm in Middleboro, Apponagansett Farm in Padanaram and Skinny Dip Farm in Westport and Little Compton. When she is not on the farm Kate is busy running Verve Creative Solutions, a small, Marketing | Social Media | PR firm and is the Membership and Marketing Director at YMCA SOUTHCOAST. Massimo has been on farms since before he could walk. A hard working, compassionate animal lover, Massimo has been tending to 'baby plants', building stone walls and herding chickens since before he was 2. 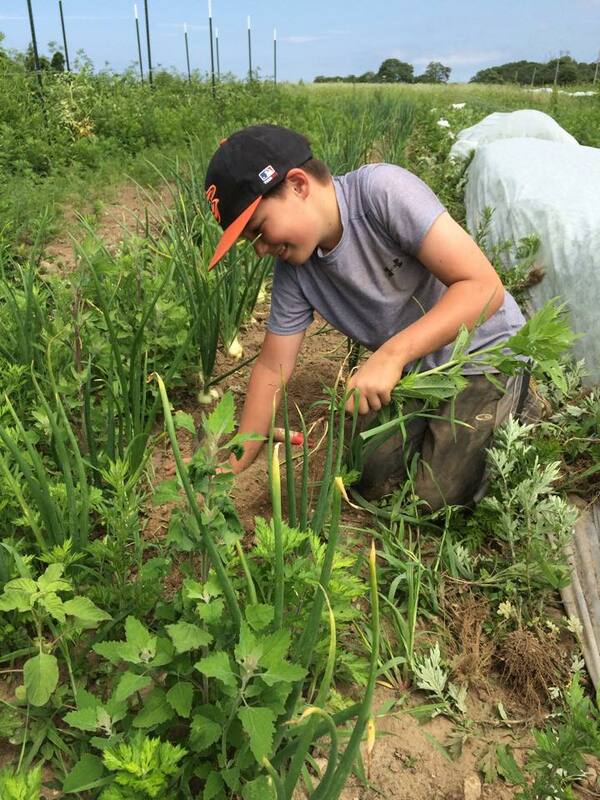 When he is not in school, acting, breakdancing or playing baseball, you will find Massimo on the farm weeding, feeding chickens, collecting eggs or helping at farmers markets. He most likely followed by his favorite side-kick, our dog, Calder. This is Calder, our Bernese Mountain Dog who thinks he is a cat. To keep up with the latest happenings at Cluck & Trowel please follow us on Facebook, Twitter, and Instagram.